1518 Crosstimbers Drive Louisville, KY 40245 | Home for Sale | MLS #1421367 | Joe Hayden Real Estate Team - Your Real Estate Experts! Take a close look at the pictures to fall in love with this gorgeous home in the Polo Fields subdivision. 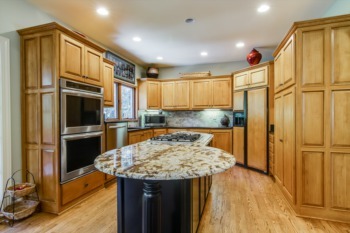 1518 Crosstimbers Drive is a beautiful 5 bedroom, 5 bath home. Literally designed with family and friends in mind, you will find space after useful space to live your life. 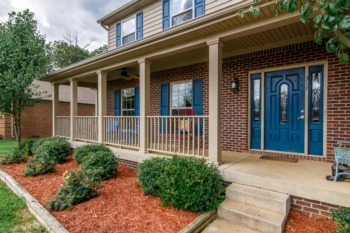 Charming hardwood flooring greets as you enter the home as well as a welcoming 2 story foyer. 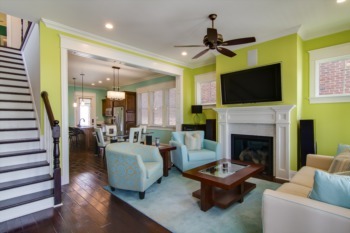 An abundance of natural light that abounds from the two story great room featuring a gas fireplace. The great room is open to the eat-in kitchen that features a breakfast bar, granite counter tops, tons of cabinet and counter space. 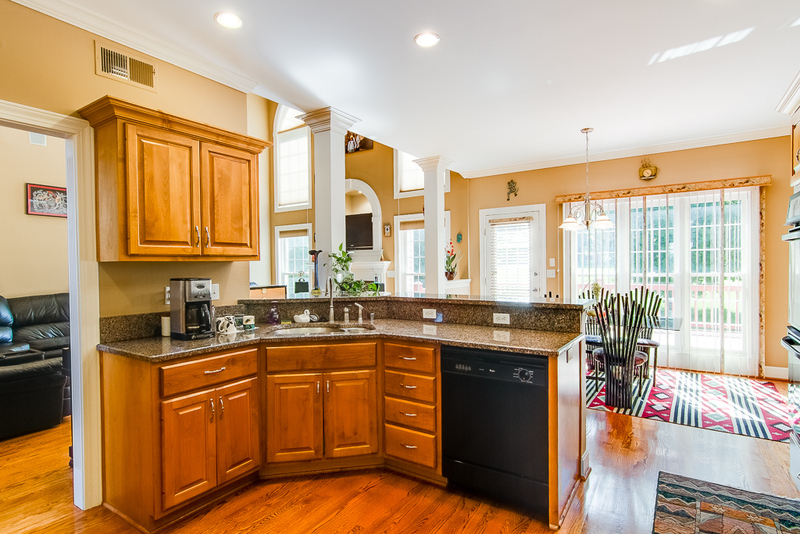 The kitchen has access to the formal dining room and the deck that overlooks the subdivision's golf course. Also on the main level you will find a bedroom, full bathroom, the formal living room and laundry room with access to the garage. The master suite is another amazing feature of this marvelous home with a trayed ceiling, gas burning fireplace and wonderful master bath. The master bath offers dual vanities, whirlpool tub, separate shower, water closet and spacious walk-in closet. The second level also features 3 additional bedrooms with plenty of closet space. One bedroom features an en suite bathroom and the Jack and Jill bathroom is found between the 2 additional bedrooms. 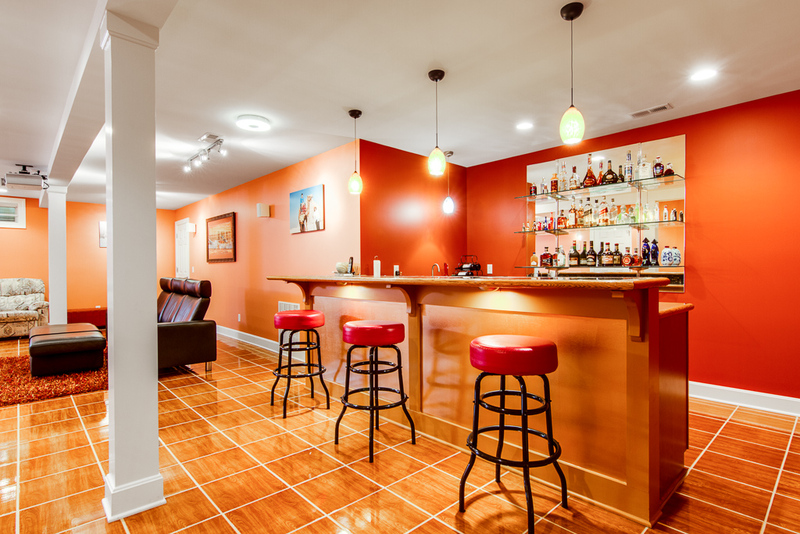 Don't miss out on the fabulously finished lower level featuring a family room, wet bar, and an office space, that is currently being used as a bedroom. Outside, enjoy the benefits of quiet, peaceful surroundings and you can relax on the deck. Take advantage of this great opportunity to buy a quality, all brick home at 1518 Crosstimbers Drive by scheduling your private showing today!